We have to admit that we were pretty sure that Nissan’s smaller pickup is coming redesigned sometime this year. Moreover, we managed to catch several pretty suspicious testing mules, which were pointing out what’s coming with the next-generation Frontier. Still, this isn’t going to happen, at least not this year. We know that because the carmaker just started with crash testing, so the completely redesigned pickup won’t be ready before the end of this year. On the other hand, it will come as the 2019 Nissan Frontier without any doubt. The destroyed testing model doesn’t reveal anything essential about the 2019 Frontier, but we managed to put pieces together anyway. The upcoming pickup truck will likely use the same platform as the overseas Navara. However, the mid-size model won’t be Navara’s identical twin. No, our insider claims that the 2019 Nissan Frontier should look more like the all-new Titan. Of course, it will be shrunken and more dynamic option with plenty of curves and very desirable front-end styling. 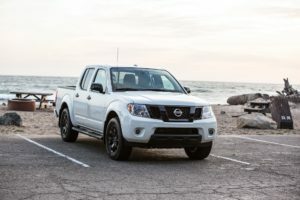 Performance wise, the 2019 Nissan Frontier should get rid of the thirsty 4.0-liter V-6 option. Instead, it will likely feature a new 3.7-liter engine, which is capable of producing up to 330hp and 270lb-ft of torque. The future pickup will likely have a diesel option, most likely a 2.8-liter Cummins that will deliver an impressive output of 220 hp and 380 lb-ft of torque. 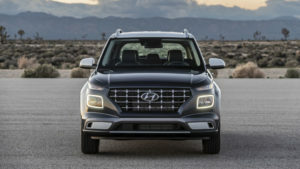 Now, we are not sure whether the carmaker plans to keep the base 2.5-liter engine or no, yet we are sure that if it stays, the engine will be significantly boosted. Anyway, Nisan will definitely keep a six-speed manual gearbox available, but most of the trim levels will feature a standard seven-speed automatic transmission.